Tatum’s unique style has become an inspiration to many jazz musicians, among others: Charlie Parker, Oscar Peterson, Hank Jones or Kenny Barron. Some of the masters of classical music found his music inspirational too. It is said that Rachmaninoff’s Piano Concerto No. 4 contains many jazz-like elements in it, and some of the credit for the influence goes to Art Tatum. 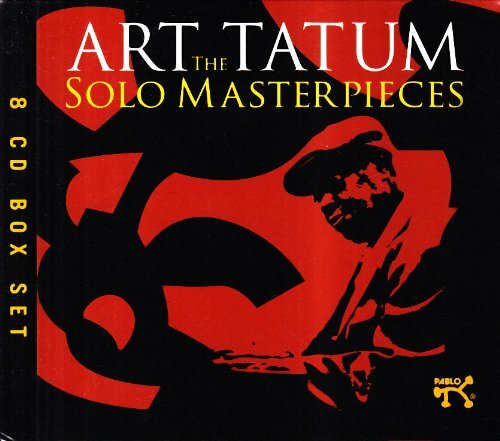 Among other luminaries of classical music, astounded by Tatum’s genius, were Arthur Rubinstein, Ignacy Jan Paderewski, George Gershwin or Vladimir Horowitz. The latter became eventually Tatum’s close friend. Allegedly, with every given chance, he would go to see Tatum play. There is this story that after months of mastering his jazz version of the famous classic ‘Tea for Two’, Horowitz shared the results of his work with his friend. When he finished playing his tunes, Tatum replaced him at the piano and totally effortlessly played what he had just heard. It was so good that Horowitz decided not to play ‘Tea for Two’ in public ever again. Tatum proved that it is possible to evolve from unexceptional origins in Toledo into a world-class musician. Much credit goes of course to his unique talent, but for a man with practically no musical education to marvel some of the biggest names of classical music, that is a big achievement indeed. Awesome post. Loved hearing him play Tea for Two after reading this. Thanks. It would be hard to be familiar with jazz but not be familiar with ol’ Art. He and Thelonius Monk probably are my top two of all time, with Chick Corea and Herbie Hancock being my two modern favorites. An excellent post and fantastic recording.